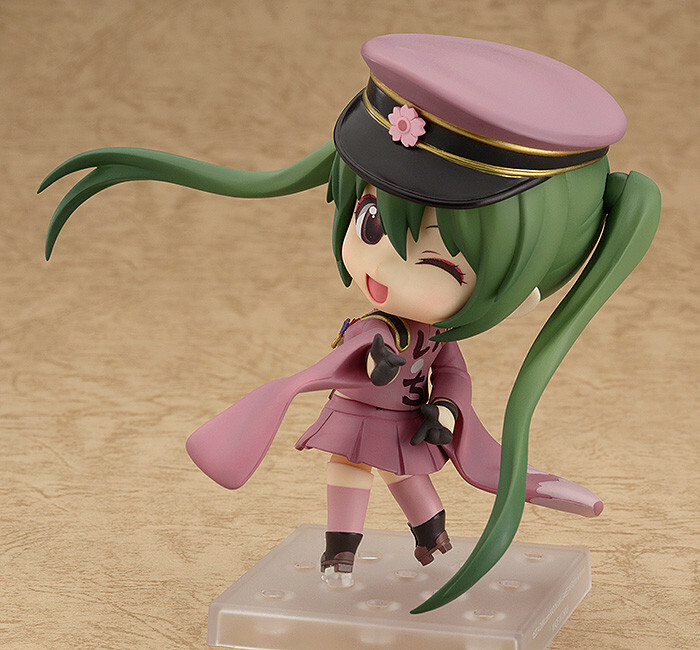 A bold and audacious transformation into a Nendoroid! 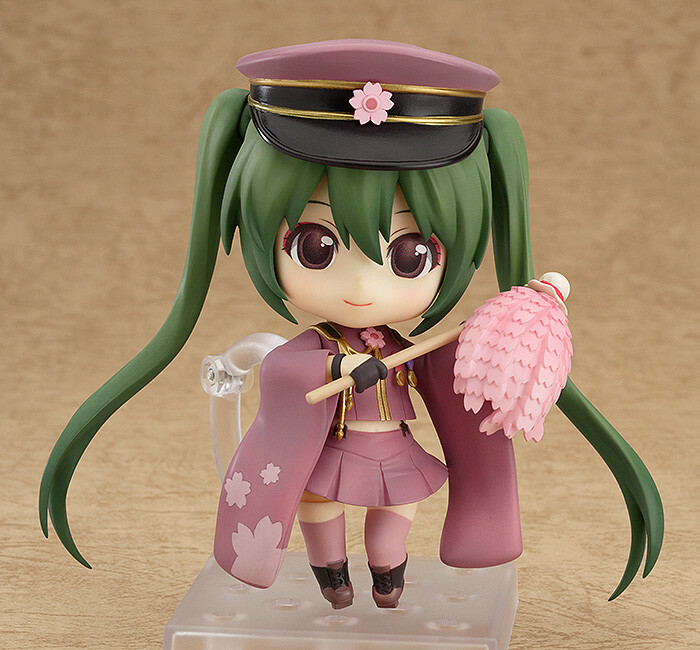 A Nendoroid of Hatsune Miku based on the outfit she wore in the song 'Senbonzakura' by Kurousa-P! 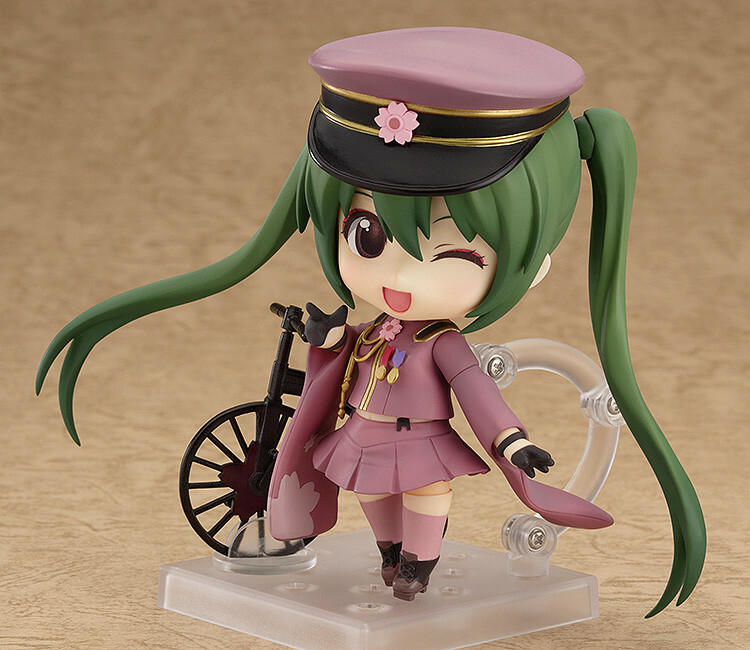 She comes with a gentle smiling face as well as an energetic winking expression for various different different poses. 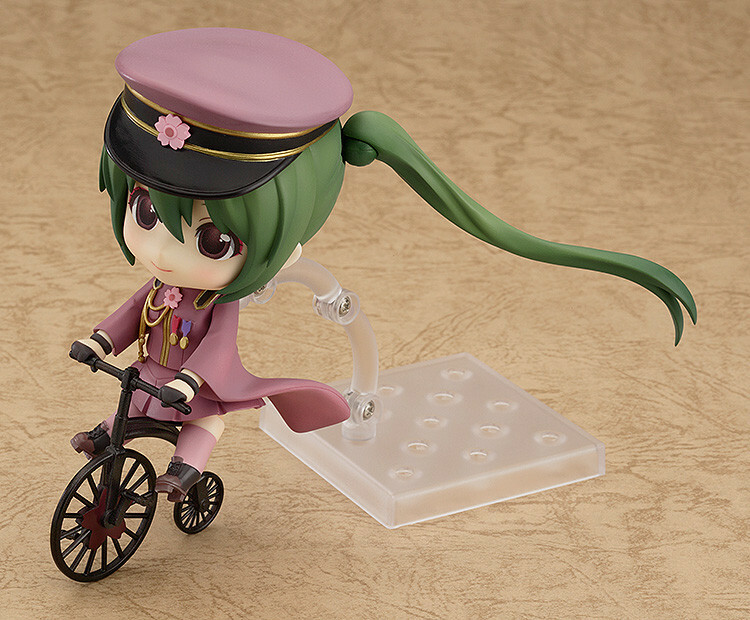 In addition, the cherry blossom streamer and cherry blossom themed bicycle seen in the original music video are also both included! 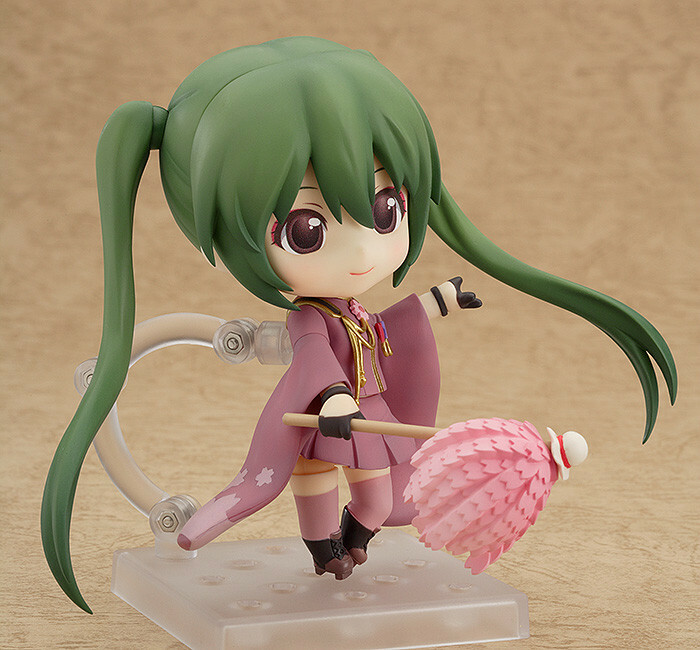 Using the included special included parts that attach to her feet, you can display her without the need of the support arm in her classic 'shooting' pose while looking over her shoulder!